Home » Post tagged "pinball"
A year has passed since my last game release. I’ve been very busy and now the new game is ready. It’s called Chocolate Pinball. This unique table features pinball bumpers, targets, slingshots, one-way gates, selector switches, magnet holes and a power meter sensor. 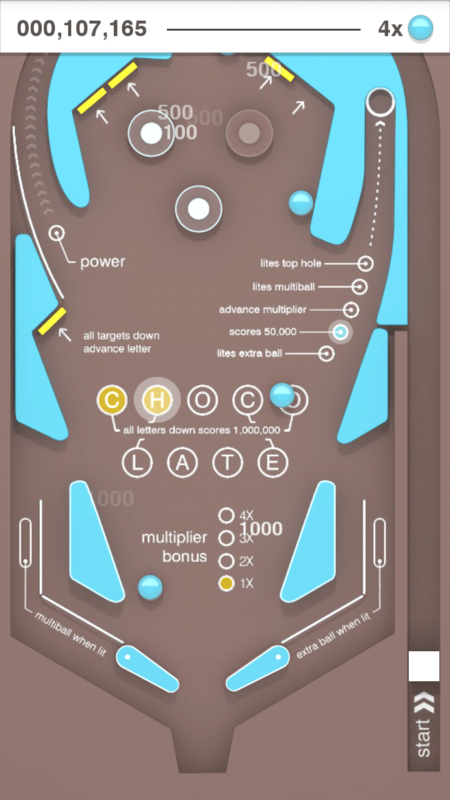 Chocolate Pinball brings together the action of an arcade shooter with the excitement of classic pinball into a single game.